East Area Adult School is administered by the Polk County School Board and provides adults with educational opportunities in the eastern portion of the county (Auburndale, Davenport, Ft. Meade, Haines City, Lake Wales, Wahneta, and Winter Haven). The main campus is in Auburndale, but off-campus classes are held at convenient locations throughout Polk County. 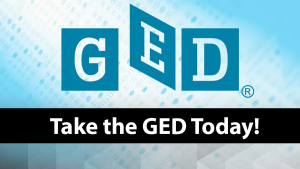 The GED®, or General Educational Development, is at the heart of the program. Established in 1942, the GED® is universally recognized as the equivalent of a traditional high school diploma. Last year, Polk County’s adult education program awarded more than 150 GEDs to graduating students. The GED® program is offered at a minimal charge to any qualifying adult, 16 years or older. 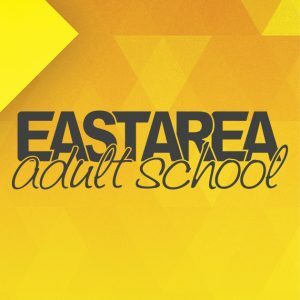 East Area Adult School provides day, evening, and online classes. All courses are only $30.00 per semester. Our programs serve adults who wish to prepare for a standard adult high school diploma or a State of Florida diploma through passing the General Education Development (GED) examination; improve employability skills; acquire basic and functional literacy skills (ABE); learn to read, write, and speak English as a second language (ESOL); or enhance the quality of your lives. However, there are many of other students that attend East Area Adult School, as well. 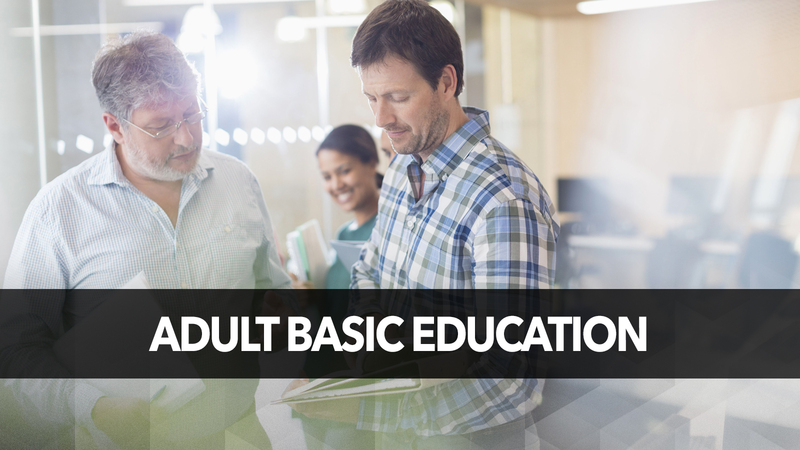 The Adult Basic Education program—ABE—is designed for those not ready for the GED® program, who need help with basic skills such as math or reading. Successful completion of ABE allows entry into the GED® program. ESOL, or English for Speakers of Other Languages, is also available. This program is available for adults whose English is not their native languages. This year alone, there are more than 36 different languages spoken by our adult learners at our school. Adult education began in America during World War II, when the federal government passed the G.I. Bill of Rights in 1944. Many servicemen and women had volunteered for war before they had even finished high school. In an effort to provide these veterans with the opportunity to gain their high school degree, adult education programs were established all across the country. The GED, or General Educational Development, is at the heart of the program. Established in 1942, the GED is universally recognized as the equivalent of a traditional high school diploma. Last year, Polk County’s adult education program awarded more than 1500 GEDs to graduating students. The GED program is offered at a minimal charge to any qualifying adult, 16 years or older. But thousands of other students attend East Area Adult School, as well. The Adult Basic Education program—ABE—is designed for those not ready for the GED program, who need help with basic skills such as math or reading. Successful completion of ABE allows entry into the GED program. ESOL classes are also available for students who wish to learn English. The mission of East Area Adult School is to provide rigorous and relevant learning experiences which service the educational needs of adults through literacy, high school completion, workforce preparation, personal enrichment, and technology. East Area Adult School's volunteers are a critical component of our educational program. All adults seeking to increase their academic skills, get a GED, obtain a high school diploma, or learn the English language benefit from the one-on-one assistance the volunteers provide. Anyone who can read can help! We deliver adult education to one-half of geographical Polk County, providing over twenty different class locations. 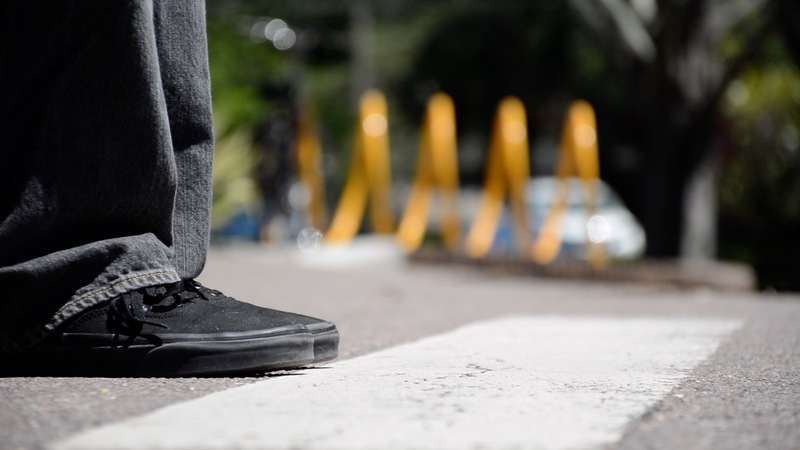 Due to the large numbers of adults served by our program, there are always volunteer opportunities. Volunteers assist by reading one-on-one with low literacy level adults (our greatest need), reviewing basic mathematics skills, answering the phone and taking messages, filing Xeroxing worksheets, and anything else the volunteer is interested in doing that will assist the teachers. Volunteers even sit with limited English speaking individuals and have conversations so these students can practice their English. Volunteers are coordinated with teachers and classes based on the volunteer's academic interest and their location. Volunteers choose the day(s) and times they wish to volunteer. Volunteers have total control of their schedule, which allows for vacations, appointments, and illness. In 2014 school year, East Area Adult School once again received the Golden School Award because of its volunteers. "We cannot emphasize enough the importance of our volunteer program," stated Sharron Kelsey, a former volunteer coordinator. She added, "Our volunteers give very generously of their time and talents as they help promote adult literacy." To find out more about our volunteer program, or to apply today, visit our district Volunteer page. We proudly offer a professional learning environment for adult students who are ready to take their education to the next level. Advisors are available to help guide students through each level of learning, and prepare them for career readiness. Both East Area Adult School and West Area Adult School are authorized PearsonVue testing centers in Polk County. Pearson VUE is the leader in high-stakes computer-based certification and licensure exams for a range of industries including financial, government, healthcare, information technology, and numerous exams. 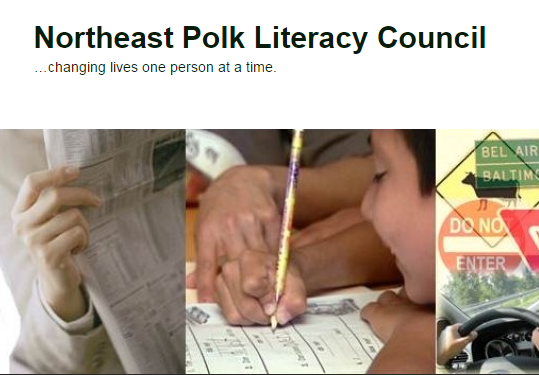 The Northeast Polk Literacy Council, Inc.(NEPLC) supports adult literacy in northeast Polk County, Florida. Click here for more information.